Those hired to provide assistance for others in need should be trustworthy and reliable, but tragically aren’t always. In retrospect, I honestly don’t understand how I explained away my mother’s out of character behaviors. Initially the irrational moments were so infrequent, I labeled all of them collectively as “goofy” as if they were curious and cute. In truth, indicators of early dementia are so insidious they are often completely overlooked and/or explained away by other factors. Alzheimer’s is a progressive neurological disease that impacts a person’s memory, judgement, life care, and communication. One of the first indications of Alzheimer’s is often language decay. Language requires a very complex set of neurological skills. When people engage in conversation, the brain hears what is said, processes the meaning, encodes the message and executes an appropriate verbal response. This reciprocal dialogue loop literally occurs in nanoseconds. Although everyone benefits from consistent schedules the elderly rely on routine and the stability it provides perhaps more than any other age bracket. Familiar footing provides comfort. Quiet deference and validation are far more effective than confrontation. Don't let your eyes get stuck as you roll them upward in amazement when you parent says or does something bizarre. It's only bizarre to you. Although their reality may be anything but real, again it is their reality. And while you're trying to instill some common sense, you're also instilling frustration. Hostility is an unfortunate outcome of Alzheimer's. Be patient. Try to remember it's not your mom or dad snapping at you but the disease. Whatever they insist on, offer vague agreement. Change the subject. Head nod. Use non–inflammatory phrases like, I'll look into it. That's a good idea. Or don't say anything. The holidays inspire nostalgia and time-honored traditions from recipes to regalia. Most of us stay focused on the splendor of the holidays as they should be and filter out commercials as annoying white noise. "As Alzheimer’s disease and related forms of dementia advance, the ability to recognize the faces of loved ones diminishes." My mother’s shocking inability to recognize the distinct deterioration in her own son’s facial features was the very first indication of Alzheimer’s yet to be diagnosed. Only in retrospect did this strange but notable incident make sense. The Good. The Bad. And the Phew! This is not meant to be a fluff piece, but an exploration of a necessary evil. Thousands of caregivers accompany someone else into a public bathroom to help them every day. Whether it's a parent with a young child or a "child" with an older parent, the restroom can be a yucky, inadequately equipped nightmare. And most of the worst mistakes can be fixed! Not every tirade, emotional breakdown or perseveration can be managed easily. The point is to try different strategies knowing the idiosyncrasies unique to that person. Kudos to Jean for thinking outside the box. I might have suggested employing a solution before 13 ice cream trips, but eventually something worked. People living with dementia can and should make choices throughout their journey. Those in the later and more severe stages of Alzheimer’s/dementia are likely to have limited and erratic communication skills. Caring for them including make simple and complex decisions in their behalf is necessary. The critical factor is how important are the decisions? Remember they often don’t remember what they did, said, who visited, etc. The idea that you haven’t done enough or aren’t doing the right things in behalf of your parent plays havoc with your emotions. While you’re in the thick of making difficult decisions and then living the fall-out, snippy judgmental remarks from Mom or Dad that appear to challenge your integrity, are painful. I know; I’ve been there and many friends of mine have as well. Trying to Stay Connected with Someone with Dementia? Maintaining some semblance of personal connection with your loved one with dementia is vitally important. Witnessing their descent into the memory waning abyss, less aware, less themselves, less communicative is heartbreaking. You are the daughter or son who “gets it”. Not only is your parent – most likely your mom – experiencing some physical decline, she’s definitely showing signs of dementia. Seeing one’s image reflected in the mirror can elicit many and varied responses. In the early stages of the Alzheimer’s journey, family and friends are likely to notice but also dismiss changes in their loved one. Short term memory issues, personality changes and episodes of poor judgement are noticeable but not notable. I completely recognize the difficulty of assessing patients in an ER setting. It’s called an Emergency Room for a reason. That said however the paramedics who brought Miriam in reported her to be “alert and oriented times 3”; translation: conscious and lucid. The ER doc could have and should have talked to her more and me less. 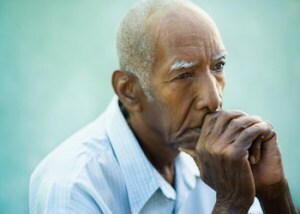 Even a significant hearing loss doesn’t cause Alzheimer’s, but social isolation and withdrawal do contribute to dementia. We all experience tragedy, but this story is just sad. Why Is There a Stigma About Using Hearing Aides? What is it about hearing aides that says: "I'm handicappedor I'm old" or "Shout at me?" In my view, there's a vicious circle in which every player in the ring bares some culpability for the stigma associated with hearing aides. The public's opinion of hearing difficulties corrected by hearing aides is definitely less positive and less accepting than that of reading difficulties corrected by glasses. But seniors bare some responsibility for this negative image too. A few of the auditory challenged older adults whom I know refuse to wear their hearing aides in public because "People will see them and know I can't hear." Duh! This excuse is ridiculous! "People" will hear that same senior say "What?" over and over again and know they cant' hear well anyway! Someday I may need hearing devices and if I do, mine will be conspicuously obvious in purple with flashing lights. "I feel like a non-person." "I feel like a non-person.Her mother said frankly." Despite efforts to reassure her mother that she was loved, important and real, the woman continued to perceive her own essence as absent. Is Your Aging Parent’s Behavior Changing? What should I watch for in advance of a parental crisis to be more pro-active? It's a great question with even better good intentions. Taking off the protective blinders of denial and ignorance before you're swimming in physical and financial disasters may not literally avert any of them, but at least conscious thought has been given to the multitude of What-Ifs. Age brings challenges for everyone. Be observant, honest, informed and fair. Don't fight it or run and hide. Embrace the reality of your parent's evolving needs and make the best decisions possible in their behalf and with their input. We are acutely aware of the perils of driving drunk or distracted by texting. But driving with any impairment, including reduced reflexes, poor vision, waning cognition and judgment, can have tragic consequences. If your loved one is a menace behind the wheel, you have a moral obligation to keep them and everyone else on the road safe. Even if yours drives you crazy, be grateful you have them. I miss mine especially at Christmas. If you want to selectively saw off branches of your family tree, you're not alone. And upcoming holiday get-togethers artificially force otherwise feuding family members into the same space compounding seasonal stress. Family dynamics can be very difficult and strained. If you can make a go of it and include everyone once or twice a year at the holidays, especially Christmas, go you! If, conversely one selfish person habitually destroys a blessed fun event, consider alternating the years you include them. I speak at community groups often to help advance Alzheimer's awareness. The audience's contributions are welcomed, sharing their heartbreak and heartfelt experiences. And they have a lot to say. An incredibly sweet albeit misguided gesture. You cant tell what someone is going through just by looking at them! The lady was of average height, build, maybe 55. She had no remarkable habits, like pacing or facial grimaces. Honestly I never would have noticed her had she not abruptly walked over to me and asked "Are you alone?" I was about to form a vague but socially appropriate reply when the tall man quickly intervened. "Just ignore her. She has Alzheimer's" as he cradled her by the arm and gently but firmly pulled her back. His words were sharp but his tone was apologetic. I waved him off with Its okay, really. I understand. Despite brutal emotional and physical pain, (my brother) Jerry always maintained a gregarious nature as he chatted with the cashier, bank teller, paper boy and waved at the mail lady. You never know what they are going through. People can't look at me and know that my wife died or I have terminal cancer. 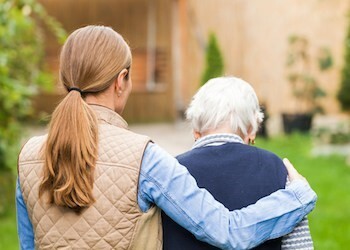 Relinquishing the care of your parent to someone else, or several "someones" as in the case of an assisted living placement, is not without pause. There is likely an exhaustive list of reasons, factors and roadblocks that have brought you to this point. But the reality is you've gotten to the brink of a disaster waiting to happen because continued in-home placement just isn't working. Before you regret not having acted sooner, move your parent. The next article will help in the process of selecting the right placement for your parent. Ha! I did everything right and it still got screwed up! But despite the incredible drama that befell my mother, I really did do everything right; it wasnt my negligence that nearly killed her. The elegant and welcoming lobby was designed for you, not for the person to be residing there. You can expect that it should be inviting and clean; the absence of either speaks volumes. But otherwise a beautiful lobby just means they hired a good decorator. Cost. Phone discussions as well as internet research, can shed light on a facilitys cost structure. KISS – an acronym for “Keep It Simple, Stupid” – was used as a design concept by the US Navy in 1960. The KISS principle states that most systems work best if they are kept simple rather than made complicated, therefore unnecessary detail should be avoided. And how might this concept apply to your loved one with dementia? The "It" in KISS is communication. Keep "Language" Simple, Stupid. Our parents' tendency to camouflage the reality about their health may eventually implode revealing a multitude of medical problems and safety concerns. Suddenly you're juggling conversations with doctors while at a soccer game or arranging for caregivers while in line at the grocery. And maybe you're doing it all long distance. Hire an independent agency to clearly evaluate your parent's status and implement a plan accordingly. No disrespect to anyone affected by Alzheimer's Disease, but our pets can exhibit dementia changes too. My wonderful, old lap cat Snoopy started howling about three years ago when he was sixteen. It was a new and obnoxious behavior for him. Irritating. Annoying. Loud. Awful. In my professional opinion, as an Occupational Therapist with a concentration in neurology, I question the role that one Alzheimers gene can play. There are too many other complex and overlapping variables. Are You A Real Adult? "It's an ironic twist that a parent who once refereed their squabbling kids, one day becomes the center of squabbling adults." If another twist of irony, the dictionary definition of Adult is: emotionally and mentally mature. I know many "adults" who act anything but "emotionally mature" when they are in a verbal war of words with their sister/brother over the decisions for their parent. A real adult would honor the parent by making the decisions they would make for themselves if they could. And a real adult can "agree to disagree" with another, even a sibling and set aside petty differences for the bigger picture. Just before Christmas, 2004, Jerry conceded defeat. Cancer's invading marauder cells had finally won despite his valiant efforts to fight back undergoing months of brutal chemo! Mom and I lived two hours apart in Michigan while Jerry was in hospice in Georgia. Somehow, someway, I had to get my mother to Atlanta to see her son before his window of lucidity closed forever. What should be a wonderful, festive, family event over an abundance of food, timeless traditions and reminiscing, can implode in seconds without careful planning. It's not running out of mashed potatoes that will define the holiday as a success or a failure, but your loved one with dementia agitated, confused and overwhelmed that may. 12/3/2014 Be Thankful at Thanksgiving No Matter What! Do Brain Games Really Help Prevent Dementia? While it is true that the human mind is malleable throughout a lifetime, improvement on a single task like playing computer-based brain games does not imply a general, all-around and deeper improvement in cognition beyond performing better on just a particular game. Read the entire article at: http://bit.ly/1pAQAWl? Increasing funding for Alzheimers research is crucial! Also crucial is having an accurate understanding of the facts about Alzheimers. No disrespect to the already well informed, but the general public needs a better knowledge base to recognize the subtle, often excused-away symptoms of dementia issues. Despite numerous and ever increasingly bizarre situations where my mother adamantly insisted that something surely misplaced – was stolen - or her version of an experience - if it happened at all - was unlikely, my well intended but misguided approach was to try to convince her of the "truth". Moms perceptions of her world were real to her! Traditional Memory: To shore up important or quasi-important information like your bosss spouses name, repeating it either silently or out loud helps to reinforce memory and recall. If that memory is not used again it certainly will fade away in the future. Your new garage door code however if reused repeatedly, solidifying the memory in your cortex. Sounds benign enough, right? Not so fast! Some recollections of relatively little significance are embedded in cement and may never fade away. Enter, the Adrenaline Rush: I can vividly recall every detail right down to the boring, sage green institutional wallpaper in my OB/GYN's office the day I found out I was having twins. That was 36 years ago in real time and yesterday in my brain. As Your Loved One Declines, Show Up; Don't Give Up! It is emotionally draining to watch your loved one with Alzheimer's slowly fade away, helpless to change the outcome. There is very little validation or reward for you from them. As painful as their blank stare, mumbling, or who are youis to experience or hear, having a better understanding of the disease process and why this occurs, is critical to acceptance and continuing to visit. Show Up, Dont Give Up! My six-year-old grandson is consistently better than I am at the memory games! We have played enough times by now that I know it's not a fluke and I am not letting him win either. But why? An article written by Matt Richtel entitled Multitasking Takes Toll on Memory, Study Finds may shed some light on why I'm less adept at childhood memory games and other short term attention tasks. Why Being Cloaked in Denial Doesn’t Help. There are many diseases and medical conditions that we fear: a diagnosis of cancer, heart attack, stroke and many more of course. 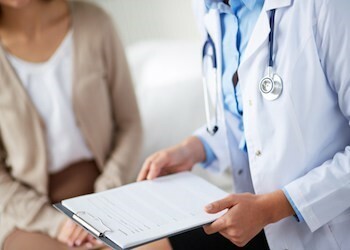 Most conditions have at least some treatment or lifestyle management options, however there are exceptions. And one of those "exceptions" is Alzheimer's. 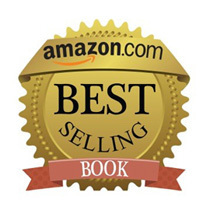 [Detroit MI, March 26, 2014] I Will Never Forget, the multi-award winning dementia memoir by Elaine Pereira, recently took the number one position on Amazon in its genre! Elaine Pereira has written the one book on Dementia that no one else could write. She is a daughter who has lived the Dementia drama, an occupational therapist who understands the neurology and an unwavering caregiver. 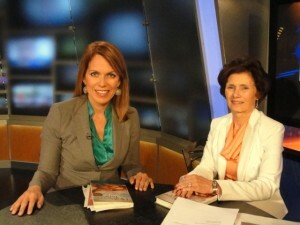 Pereira's exclusive perspective has enabled her to produce a one-of-a-kind book about Dementia that encompasses several uniquely special approaches. While most authors unveil theirs stories chronologically, Pereira's memoir unfolds in dynamic and creative time shifts, revealing her mothers decline in a "then and now" format, transitioning beautifully between past and present. "I'm thrilled, ecstatic and humbled," Pereira stated, "to have finally achieved this prestigious milestone and also grateful to all the supporters who made it happen." Like most authors, I have worked tirelessly to promote my Mother's Story as it is Everyone's Story. Truthfully my mother's journey through dementia was difficult, bewildering but also touching as those who have walked in my shoes understand so well. Alzheimer's is a horrific disease that robs us of our loved ones and "I Will Never Forget" is a tribute to caregivers everywhere. "As I donate from each book sold to further Alzheimer's awareness and research, rising to the top spot helps me help others." While Dementia is a serious disease not to be trivialized, Pereira believes there are humorous one-liners and anecdotes in all of life's dramas. She blends her mother's Dementia induced tragic mishaps, episodes of illogical thinking and agitated behaviors with tasteful hilarity as well as her ridiculous but funny remarks. 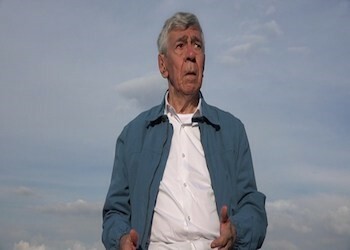 The end result is a book about Dementia that is unlike any other book on Dementia ever written. 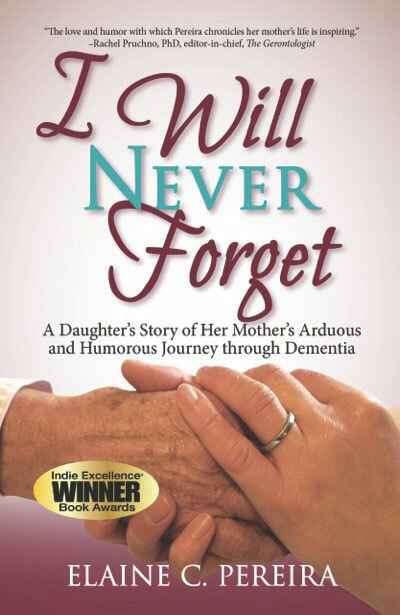 "I Will Never Forget" A Daughter's Story of Her Mother's Arduous And Humorous Journey Through Dementiahas received numerous, high-level industry awards. Photo Courtesy of Gluten-Free Canteen where you can find lots of gluten-free recipes. Thank you, Maryann for inviting us here today and for the refreshments. First I'd like to just give a quick introduction to my mother. In 1945 she graduated with a BS in chemistry then went to work at Upjohn CO in Kalamazoo, MI where she met and married my father, Wayne Ward. They had three children before Betty went back to school for her masters in education. The "Life is Good Years" continued until my father's stroke in 1995, followed in 2004 by both his death and my brother Jerry's, and finally my mother's rapid decent into dementia. From the ashes of her eventual passing aroseI Will Never Forget.I hope you enjoy meeting my mother in this brief interview in which I pretended to be a reporter. Author Elaine Pereira believes activity, both mental and physical, is a primary key to delaying the onset of dementia. Pereira has written the one book on dementia that no one else could write. I Will Never Forget "A Daughter's Story of Her Mothers Arduous and Humorous Journey Through Dementia" is a dementia memoir that present her mothers story told from three perspectives as a daughter, as an occupational therapist and as a caregiver. Elaine Pereira, speaker, Certified Dementia Practitioner and Caregiver and author of the award-winning dementia memoir, "I Will Never Forget", promotes a 5 pronged lifestyle approach to help delay the onset of dementia to manage its effects. "You were so polite," I said to my brother Jerry as he hung up the phone from yet another solicitor. Technically one of the three calls that weekend had been a survey, but regardless Jerry was very pleasant with the anonymous person on the other end. "And why not?" He replied rhetorically. "They're just doing their job." Being a Parent to your Parent is an uncomfortable responsibility. We are accustom to being cared for by them, not the other way around. But if your parent is experiencing memory issues, ignoring or excusing them puts them at risk on so many levels, the most significant of which is their safety. Book that changed your life: Honestly? Mine! My book is not a side splitting humorous tale of a crazy dog like Marley and Me; I get that. But it is not a dark, foreboding, depressing, boring story just about someone's tough life at the end as they're old and gray anyway. I Will Never Forget is a powerful, true account of a kind, brilliant, trailblazing woman who earned her BS in chemistry, of all things, in post WWII and then uprooted as a single woman to move across state lines for a new job! We are an international world today, but it was very, very different in the late 1940s. This memoir is rich in descriptive detail, character development and presents honest and sometimes humbling stories of a family in various stages of crises alternating with happiness and calm. December 20, 2013 My Interview by Lorraine Reguly. And a verysincere and complimentary review! Thank you so much Lorraine. II'm one of those annoyingly organized people: a multi-tasking extraordinaire who makes lists for practically everything. When my mental To-Do list tops three items, I grab paper and a pen and scribble away…..
Christmas Magic Is Returning Through Moms Spirit. My mom was an amazing woman.I was incredibly fortunate to be her daughter, a fact I clearly did not appreciate during my feisty teenage period.But except for a few ugly years of my mouthy disrespect when she couldn't do anything right, Mom and I were best friends! My mother was truly one of a kind: a petite, poised, beautiful lady with a hint of rebel spirit thrown in. In the shadows of World War II, she earned her Bachelors Degree in chemistry and later a Masters in education. Mom made Christmas magical for the family. Five Alternative Ways to TalkWith Someone Living With Dementia. A BIG thank you to Tom Matt from Boomer's Rock at http://cosozo.com/radio-show/boomers-rock for the great radio interview time. Collectively navigating the uncharted waters of caring for a loved one with Dementia is always a work in progress. The only predictable aspect of Alzheimer's is its unpredictability.My mom was different from one day to the next and typically within the same day. Her patchwork quilt of reality was a blend of her "real past and her created present. I would like to welcome my good friend and fellow author back to Readful Things. Elaine has been doing a tremendous amount of work promoting her book and teaching others about the field of Alzheimer's research. She is also a very kind person, who has been there for me through my own struggles having a family member who is going through this disease. If you have ever wondered about what this cruel disease can do to a person, a family and the patient themselves, Elaine's uniquely personal perspective may very well be of use to you. Tragically as our Baby Boomer generation matures into the Silver Stars, some of those "stars" dont shine as brightly as they use to, mostly due to Dementia. Alzheimer's specifically is a devastating condition that robs us of our loved ones. It also allows for some of the most bewildering events, remarks and experiences that defy logic, reasoning and reality. Since I have literally walked, actually more like trudged, in the shoes of a caregiver to my mother with Alzheimer's, I am able to share the humor with the heartache; explore the mystifying with the plausible; describe the agitation and the calm..
And again its been a great week for this Michigan author, this time in Dayton Ohio! You can see them by clicking on the links or go the Media Page and see the videos there. 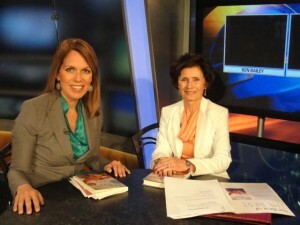 Tuesday May 28, 2013 on Fox 2 Detroit with Deena Centofanti! I so appreciate every opportunity to discuss my memoir, my intent to donate to Alzheimers research and help others know they are not alone! WXYZ Detroit, Channel 7 invited me to the studio for a taped interview about my memoir I Will Never Forget and discussion about dementia and aging issues.Getting miked up for the interview. "Finding a responsible in-home caregiver, or a reputable Home Care Facility, can be a difficult and delicate undertaking," says Pereira, "but its critically important to follow these steps whether you use an agency or hire your own." My older brother and I were fortunate to have a great mom. Growing up, I thought my mom was amazing until my obnoxious teenage period, when she couldnt do anything right.And, except for those years of my mouthy disrespect, Mom and I were best friends. Have you ever looked up Alzheimer's Disease" in the dictionary? noun, Pathology. a common form of dementia of unknown cause, usually beginning in late middle age, characterized by memory lapses, confusion, emotional instability, and progressive loss of mental ability. In 28 sobering, apathetic words, a disease so catastrophic is defined with such ridiculous impassion. Thank you Tron Simpson @ KCMN-AM News/Talk http://1530kcmn.com "for todays" lively and live interview opportunity. And Bill Martinez on Cable Radio Network http://crntalk.com/ for his great questions and sharing his personal empathy. I look forward to his invitation to return for a longer, afternoon show. 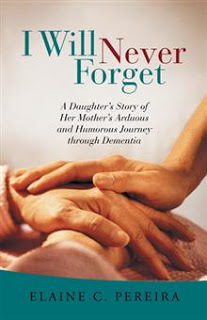 Author Elaine Pereira of New Boston wrote "I Will Never Forget: A Daughters Story of Her Mothers Arduous and Humorous Journey Through Dementia." Pereira's mom, Elizabeth Ward, was nearly 87 when she died in 2011. She began to show signs of illness in 2005, her daughter said. Thank you so much to Scott Lorenz, President,and his superb team at Westwind Communications for the poignant promotional Book Trailer of my memoir. Please check out the wonderful guest post on Bookingly Yours. Thanks Jenai I so appreciate the opportunity for such a lengthy promo spot, links and the new YouTube Trailer as well. This is a "wonderful" interview with well thought questions from both gentlemen touching on respect of our elders, how dementias journey impacts both the individual and the family and so much more! Caring for someone else on a long-term basis is both a powerfully rewarding and an emotionally draining task. I know; like many other people, Ive been there. If you are a friend or family member, you do it out of love and caring for someone who deserves your support. And typically you do a better job because you have a relationship with and a vested interest in the person in your care. But it comes at a price, doesnt it? Apparently my mom was adamant that someone had stolen her pants. Out of sight on the other end of the phone, I rolled me eyes. Someone stole her pants. How ridiculous, I thought. Not to make light of memory loss issues and exhaustive caregiver efforts to patiently redirect an agitated and/or bewildered individual, but dementia has a funny side too.Some stories border on unbelievable were they not so real. My heart felt thoughts are with all of the caregivers, families and friends of anyone with Alzheimers as you approach the present Christmas and also for those, like me, who have already lost someone and have only memories of Christmases past. Seatbelt Controversy: "Safety or Restraint"
After more than 35 years working as an occupational therapist, originally in an adult rehabilitation setting but for most of my career as a school therapist, I have received considerable training in maintaining client safety. Seatbelt Safety Therapists perceive and use seatbelts as safety belts. Belts secure physically challenged children and adults in wheelchairs so they can be transported safely or mobilize themselves without the risk of falling out and/or over. Seatbelt Restraint By striking contrast however "seatbelts," those same innocuous strips of webbing referred to so affectionately as safety belts, are perceived as unacceptable restraints in some populations, mostly non-ambulatory adults with disorienting dementia! I will never forget that train ride, Mom said. That was really something.Ultimately, however, she did forget it, like virtually everything else. Regardless of your role providing assistance to another, never forget that the screeching, defiant woman whom you are helping to dress is someone's daughter, mother or best girlfriend. The man who desperately needs assistance with oral hygiene but has his teeth clenched tight refusing your help, might have been an administrative CEO. “I believe it is extremely difficult to write a book like this. Being so close to your loved one, watching them die and then to be able to pour it out into words needs extreme courage. Elaine Pereira's relationship with her mother was similar to that of many other daughter's. But the last few years of her mother's life were anything but typical. Those years tested the strength of their bond and taught Pereira the true meaning of unconditional love. Her mother Elizabeth Ward suffered from dementia during those years, and Pereira found herself dealing with a person who very often was unlike the loving, accomplished mother shed' known growing up. On Christmas morning, 2009, I prompted my mom to join me in the kitchen so that we could begin dinner preparations. Company cauliflower was a long-standing holiday favorite. I got out the coveted recipe card and put it in the recipe holder that Mom had cross-stitched for me years before. I noticed that she was staring at the recipe. Then it hit me: Mom couldn't process what the recipe instructions were telling her to do. It was mind numbing! This woman had taught high school calculus and now couldn't read a simple amount like a half cup of milk and know what to get out or how much to pour. Growing up, I thought my mom, Elizabeth Ward, was amazing. That was, of course, until I ventured into the obnoxious teenage period, when she couldn't do anything right. Except for those three or four emotional roller coaster years of my mouthy disrespect, Mom and I were best friends. Now, my best friend is gone. Alzheimer's has claimed yet another victim, choking Mom's kind, talented spirit to dust, last July 8, 2011. For Mother's Day, Kalamazoo native shares tale of mom's struggle with Alzheimers, focuses on happier times.